In Defence of ZIALE Pass Rates! I have read, with interest, the continued lampooning of the Zambia Institute of Advanced Legal Education (ZIALE) following the 1% pass rate recorded in the last Legal Practitioners’ Qualifying Examination (LPQE) diet. Commentators like Laura Miti have called for the temporary closure of ZIALE in order to fix its allegedly defective assessment system. With utmost respect, I beg to disagree! The conclusions arrived at by Laura and others subscribing to her school of thought are deeply flawed because they proceed from wrong premises. ZIALE is not an academic institution designed along the lines of a varsity law faculty. As its name implies, ZIALE provides legal forensic, hands-on & practical high-level legal skills not rote memorization of legal theories & doctrines as happens in many a Zambian law school. To be clear, the ability of a student to excel at ZIALE is a combined product of the student’s attention to detail, resilience, aptitude, reasoning skills, written communication skills, research & analytical skills & exposure to the practical side of the law (during their pupillage in a Law Firm). Any student seeking to study for the LPQE or bar exam is assumed to have these skills sets before setting foot at ZIALE. Clearly, it is not the role of ZIALE to teach its students basic grammar, rudimentary legal principles or how to write a legal brief or opinion. That is the job for law faculties in public and private universities. 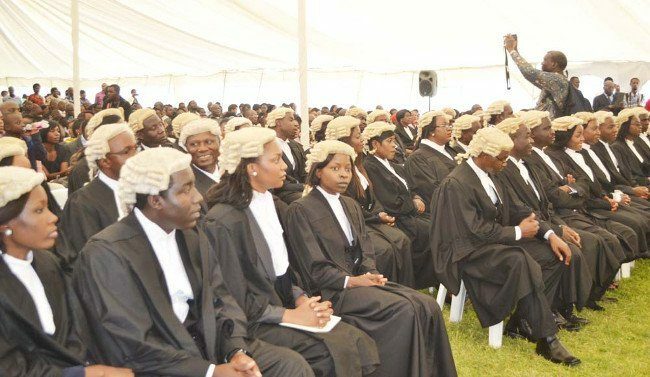 However, the truth of the matter is that most LLB graduates lack the requisite skills to pass the bar exam. We know of hordes of LLB graduates who survived law school by hiring third parties to write their assignments & dissertations/obligatory essays for a fee. How can such students be expected to single-handedly produce well-structured & well-reasoned legal opinions or draft sensible pleadings or legal documents which are usually called for in the LPQC exams? To make matters worse, few, if any, law schools conduct viva voce exams to assess if students actually wrote and understand their dissertations. For many law faculties, moot court sessions are just a formality yet law students’ forensic and legal argumentation skills should be well-honed by the time the students are handed the law degree. Given these systemic failings, it is easy for students to circumvent the law school assessment system. There is also the nagging issue of law school admission requirements which appear to be driven by income generation considerations. Why should someone with poor Grade 12 results be admitted to law school just because they are able to pay the varsity fees. Candidates with poor Grade 12 results should not even be allowed to see the inside of a law faculty. Only the best & brightest should be admitted to law faculties as is the case with other reputable professional courses like medicine or engineering. Surprisingly, we have all sorts of characters, who have unfinished business with ECZ, being admitted to pursue law degrees especially in private universities. As a result, we now face the ugly prospect of half-baked law graduates who cannot even distinguish a compulsory acquisition of land under the power of eminent domain from a re-entry of land for breach of development clause in the State Lease. In my view, law faculties rather than ZIALE must take full responsibility for the rather deplorable bar exam pass rates obtaining at ZIALE. It is not in the public interest for ZIALE to unleash on users of legal services and the general public inept legal practitioners who will end up mishandling conveyances of land, bungling high value commercial transactions or, worse still, jeopardizing the liberty of their clients facing indictments for serious felonies. Seeing that law schools will not willingly apply stringent admission and assessment standards, it may be time for ZIALE to take cue from its Kenyan counterpart, the Kenya School of Law, by introducing pre-admission or pre-entry assessments to determine the eligibility of applicants. That way, the wheat will be separated from the chaff early enough.